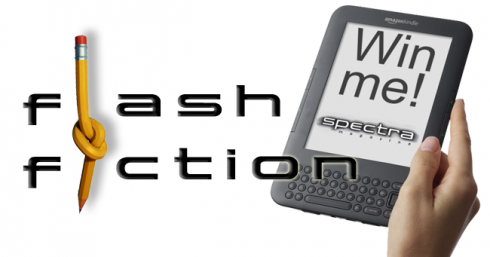 This was a Flash Fiction contest in a magazine to win a Kindle. A sudden echo from the corridor said this place wasn’t deserted after all. I got the nurse’s attention, she said Doctor Byrne would be back soon. Then she left. Byrne had said the boy would be fine if I kept squeezing the red ball wired to him. At 5AM the boy with no heart fell asleep. I pumped his blood for him. My hand was getting very, very tired. Didn’t win but still got published in the first issue of the magazine.